As part of our ongoing quest to track-down the work of Francis Quirk we share the image of the Black Star- a three masted schooner under full sail. The ship is painted from the aft-starboard point of-view in moderate seas with a sky filled with billowing clouds. 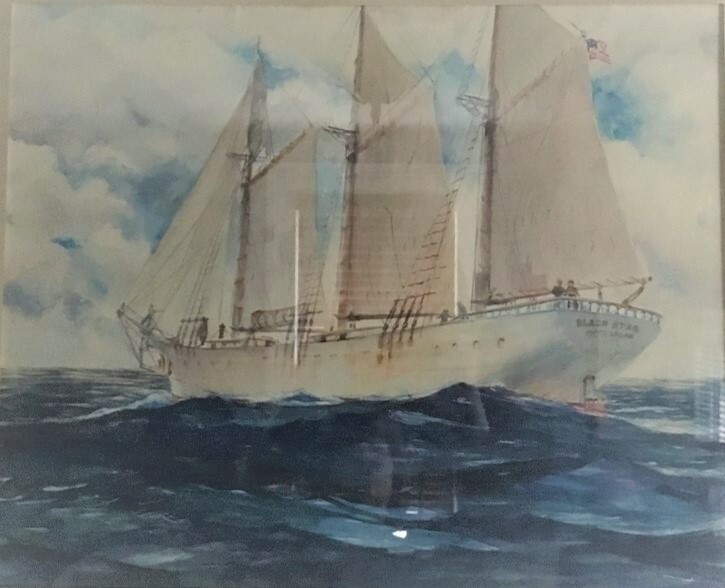 Unlike the ship in our previous post, we were not able to find any information on a schooner by this name. Interestingly, there was a shipping line established by an African American entrepreneur named Marcus Garvey that operated from 1919-1922. The name being a play on the famous Cunard White Star line that included the Titanic.